Louisiana Grills Champion Backyard Pro at Costco Review: I Like It! I was spending some time at Costco over the weekend and spotted one of the best deals I have seen in a long time. 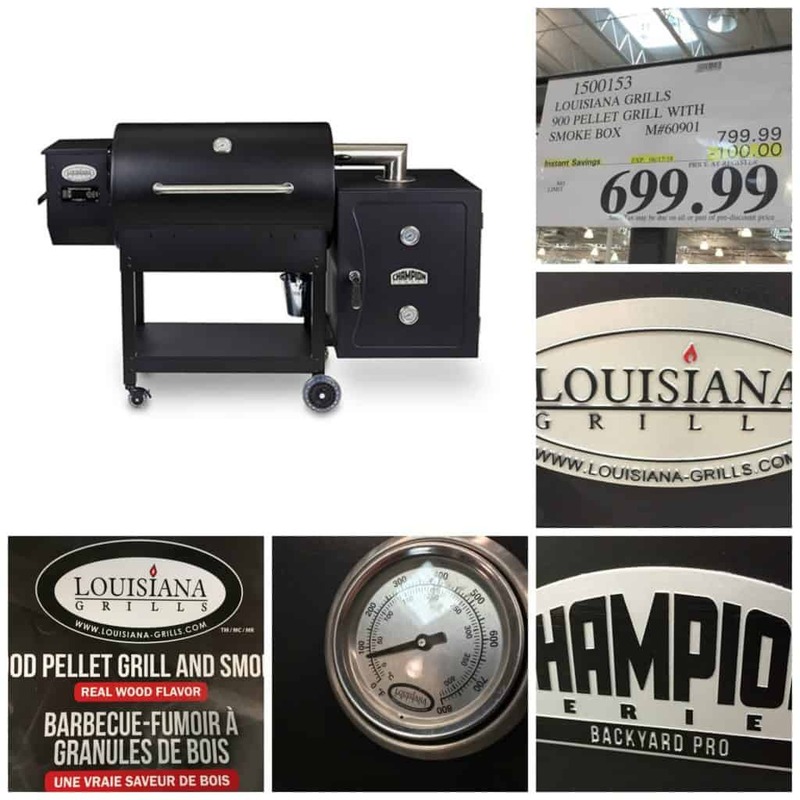 Costco has partnered with Danson to market the Louisiana Grills Champion Backyard Pro pellet smoker exclusively at Costco and this thing is a beauty! I love this grill because it means that Danson has finally woken up and responded to what grill buyers actually want. Danson is the parent company that owns Louisiana Grills and Pit Boss. With the Champion Backyard Pro Danson has made a pellet smoker that is both high quality (5 year warranty) and very affordable (MSRP $799). The Backyard Pro is made of 14 gauge steel and is essentially a Louisiana Grills 900 Series that has been fitted with a side smoker box. The Backyard Pro has massive capacity. 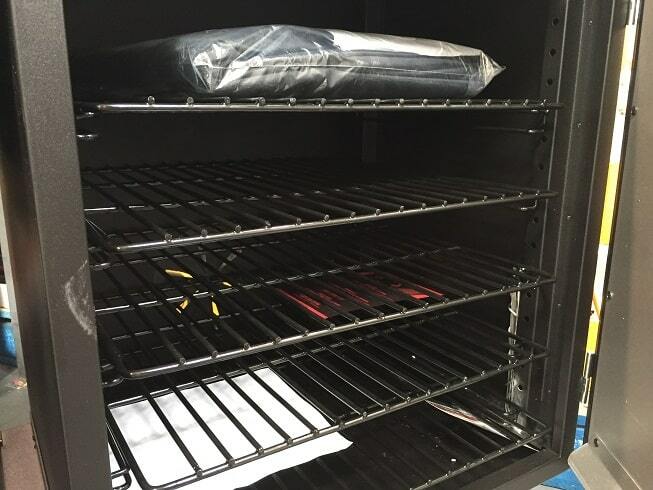 The primary cooking grate offers 634 square inches of space while the secondary warming rack throws in another 280 for a combined area of 914 square inches in the main chamber. The multiple trays in the side smoking box combine for 1,395 square inches for a total capacity of 2,309 square inches. The temperature range on the main body of the grill runs from 180 to 600F. The digital control allows you to adjust the temperature in 5 degree increments instead of the 25 degree increments on the cheaper Pit Boss products. The main chamber also has a sliding heat shield over the fire pot that can be moved to expose whatever you are grilling to open flames. This “Char Griller” feature is a nice touch and lets you play with live flames. There is a butterfly valve between the main cooking chamber and the smoker box that gives you an extra level of control for the smoker section. I have not seen the exact specs on the side smoking box but have heard that it runs at lower temperatures than the main grill. The Backyard Pro comes with an advanced level of temperature control that you wont find on budget pellet grills. 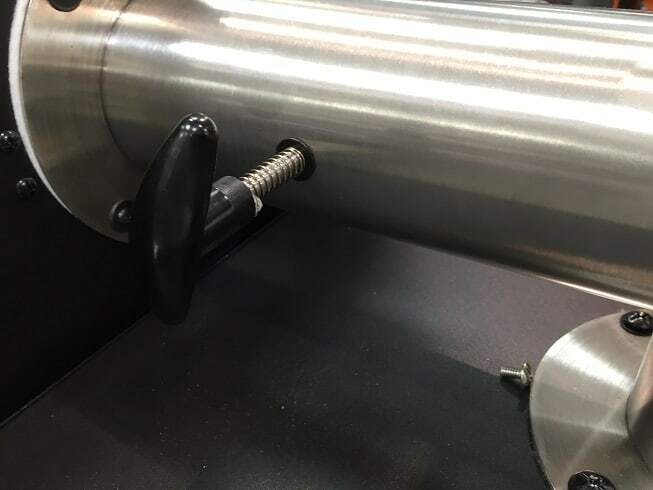 The grill comes with a controllable meat probe that will take the smoker down to “warming mode” once your meat has reached the desired target temperature. Very cool!! The Backyard Pro is designed for even convection cooking through the use of a fan and a series of small vents along the back of the smoker. There are two things about this grill that cause me a little concern. My first concern is that the pellet hopper is one of the smallest I have seen and only holds 14 pounds of pellets. For quick cooks this shouldn’t be an issue but for a serious Low and Slow brisket you are going to have to stick around the house and refill the hopper. My second concern is that I suspect this will be a difficult grill to clean. I tried removing the heat shield to get a good look at the fire pot and gave up after a few minutes. There has to be a way to get the thing off so you can clean out the ashes but it is a hassle. There aren’t that many reviews for this grill on Costco’s website but the ones that are listed are pretty positive. This grill has received a 4.3 Star rating from 18 reviews. There are three negative reviews. Two of the negative reviews concerned an igniter/control panel that prevented the grill from lighting while the third concerned a damaged connection at the smoker box. Overall this looks like an extremely solid grill and one that I would get in a heartbeat. If you are in the market for a new pellet smoker then head over to Costco and put your hands on the Backyard Pro…I think you will be pleasantly surprised! I’m not sure what issue your having with the heat shield but I have this grill. In fact I cleaned yesterday because I’m smoking two pork butts today. In less than a minute I can have the grates, heat shield and igniter cover out of the box. It takes two minutes to vacuum out and put back together. There may come a day where I want a bigger smoker but this grill is awesome. Jim, thanks for the update on how easy it is to clean this beauty! I must have been doing something bone headed stupid…I knew that it couldn’t be as hard as I was making it. I hope those butts turn out awesome! I was looking at the grill today and I like the quality, cooking area and price, however I have 2 concerns as well, 1 I agree the hopper is small and 2, if you want to change the pellets what do you do. What are the power requirements? Will this grill run on standard 110 volt house current? Bob, yes..these run on standard house current. 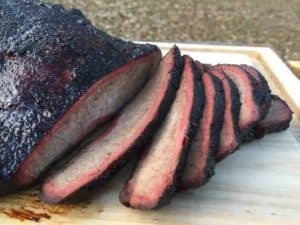 Do you recommend the Louisiana vertical smoker at Costco over the Traeger product? Absolutely terrible grill. I bought mine at Costco because they didn’t have any Traeger grills available at the time and the LG was on sale for a couple hundred dollars off. I believe I got the LG 900 and while it does look quite nice when it’s new and with the digital display, the extra bracing for the legs and shelves and everything, I ultimately took mine back for a refund. The first issue was when I did the initial seasoning of the grates. One of the three grates bubbled up because it got too hot and melted. I called up LG and they sent me another one, which was the wrong one and was mislabeled in the box. Ok, so I called them up again and they sent me out a second one, still the wrong grate. Finally on the third try they ended up getting me the correct grate for my grill. After that I had other serious issues with the grill like the start up taking 30 minutes to get up to 350 degrees. No joke, it would take 30 minutes for my grill to get up to 350 degrees, so I called up LG again and they said it’s normal for their grills to take that long to get up to temperature. Ha! My Traeger has about 8-10 minutes to get up to 350 degrees, not 30 minutes. So then they talked me through adjusting the startup settings which then made the grill over 100 degrees hotter then the setting you would have it one, I.E. I’d have it on 350 degrees and it would be showing over 450 degrees. I adjusted the settings back to the factory settings and it still has off by over 50-75 degrees. That and the paint started wearing off/peeling after just using the grill three times. Their product is a joke, their customer service is a joke and luckily I bought it from Costco who had no issue returning it for me. I ended up buying a Traeger Silverton grill and good lord it’s hands down a much better grill. 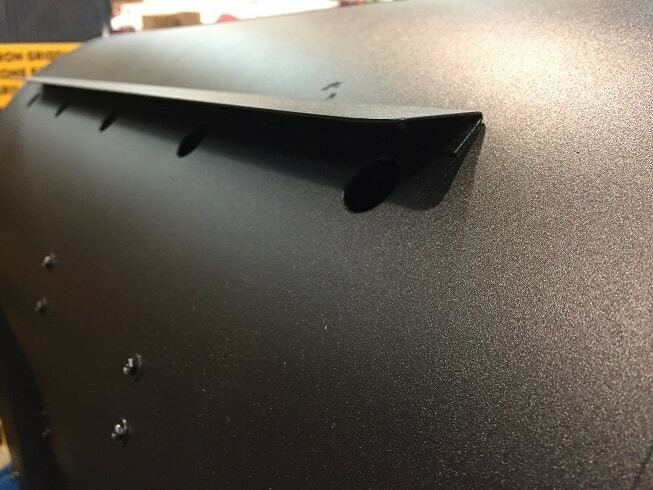 It gets up to temperature and maintains that temperature in about 10 minutes, it’s powder coated so the paint won’t flake off and rust, has a better warranty and so on. Do yourself a favor and skip on the LG, just get a Traeger. Thank you for sharing your experience, Blair!